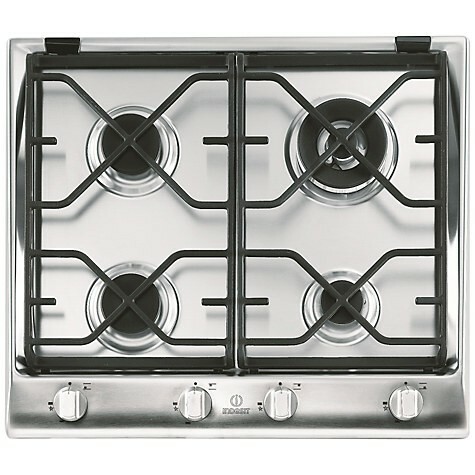 The 60cm wide Indesit IP641SCIX Gas Hob has 4 burners, including a dual wok burner, perfect for a stir-fry. The cast iron supports are sturdy, look sleek and provide good stability. While the front dial controls and automatic ignition with this hob makes it easy to use. A flame failure device on the burners detects whether the flame has been extinguished, then stops the flow of gas to the hob, helping to keep you safe. Finally an easy clean oven finish on this hob means it is easily maintained and will save you time.